In her small Welsh town, there is no one quite like Morgana. She has never spoken, and her silence as well as the magic she can't quite control make her a mystery. Concerned for her safety, her mother quickly arranges a marriage with Cai Bevan, the widower from the far hills who knows nothing of the rumours that swirl around her. After their wedding, Morgana is heartbroken at leaving, but she soon falls in love with Cai’s farm and the rugged mountains that surround it, while slowly Cai himself begins to win her heart. It’s not long, however, before her strangeness begins to be remarked upon in her new village. A dark force is at work there—a person who will stop at nothing to turn the townspeople against Morgana, even at the expense of those closest to her. Forced to defend her home, her love, and herself from all comers, Morgana must learn to harness her power, or she will lose everything. 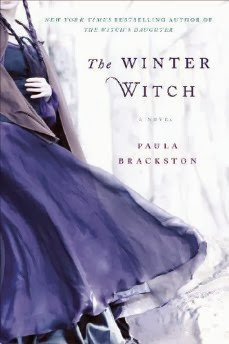 The Winter Witch is a historical fantasy novel set during Medieval Wales that's well-written. I think this is one that you'll either really enjoy or it'll drive you crazy. This is one that completely didn't work for me but I can definitely see it working for many others because it is well written and has a great premise. This had to be the slowest book ever. Morgana is a mute seemingly by choice and she marries an recently-widowed cattle-driver. Morgana is a witch who can't control her powers someone has it out for Cai for some unknown reason. Morgana tries to hide her strangeness and attempts to make her new life work. The relationship with Morgana and Cai was believable and it had tender moments but really seemed closer to father-daughter one than a husband-wife. The story just felt too slow and drawn out. And it seemed that many of the problems could have been avoided if the characters had just acted in a normal rational way. There choices seemed to be there only because it drove the plot and not because anyone in their right mind would act that way. When this read was over, it was so difficult for me to remember the details because everything blurred into nothingness. Ms. Calin did a fine job but I wish she would have spoken a bit more quickly. Her voices for the characters were distinct but couldn't make this one more interesting for me. It just wasn't my style and I didn't have the patience for it but I'm sure many would find it beautiful. Oh noooooooo! I do not like seeing the yuck rating. I have this one on audio. I got it cheap but still. I haven't listened in yet and I guess I won't be in any hurry to now. Lol. Sorry it was such a dud for you.